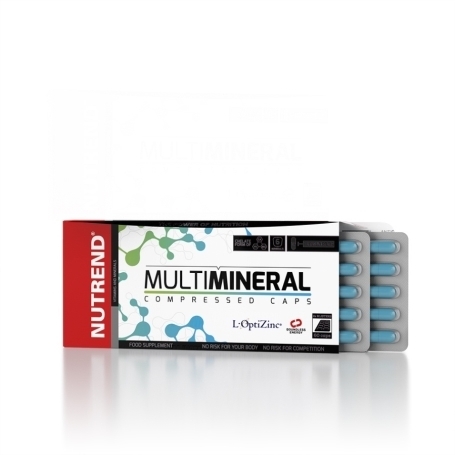 A very effective capsule form with six important minerals in chelated form. 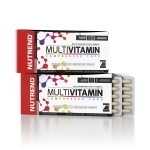 This is a great supplement and at the same time it is also helpful for maintaining a balanced diet, and not only for active athletes. The minerals represented here are magnesium, calcium, zinc, iron, chromium and selenium. 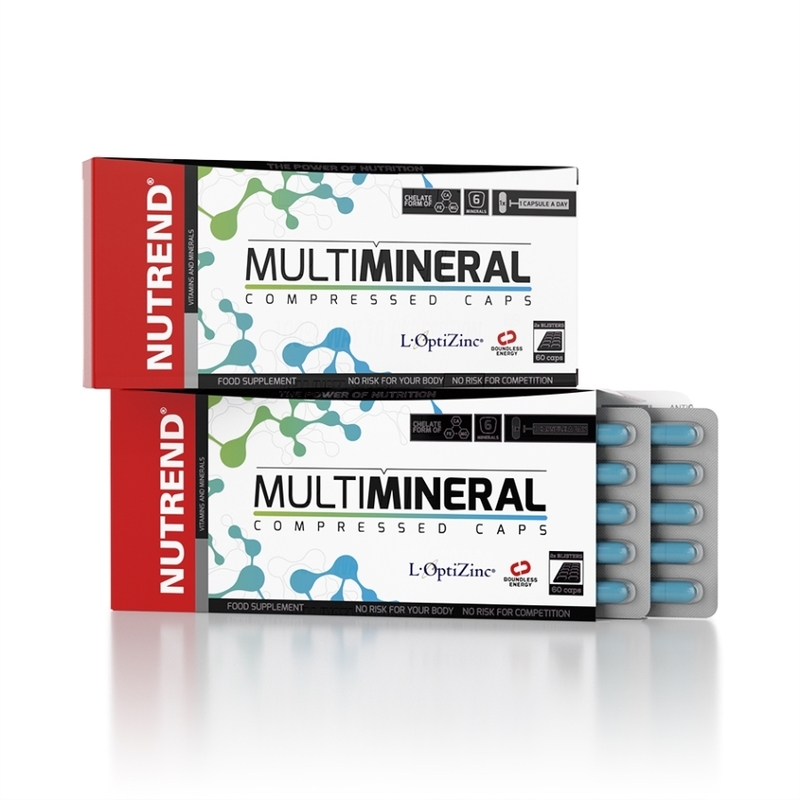 A very effective capsule form with six important minerals in chelated form. 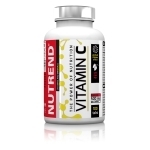 This is a great supplement and at the same time it is also helpful for maintaining a balanced diet, and not only for active athletes. 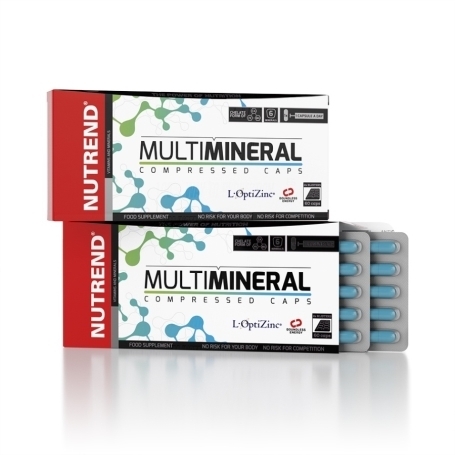 The minerals represented here are magnesium, calcium, zinc, iron, chromium and selenium. Calcium is needed to maintain normal bone state and regular heart activity. Magnesium contributes to the reduction of tiredness and exhaustion and the normal functioning of the nervous system. Zinc helps to achieve regular metabolism of carbohydrates and fatty acids, and it especially supports the synthesis of proteins. Iron contributes to the formation of red blood cells and haemoglobin and oxygen transfer. Chromium contributes to the maintenance of glucose levels in the body. Selenium helps to protect cells against oxidative stress. Recommended dosage 1 capsule daily. Do not exceed the recommended dosage. Use MULTIMINERAL COMPRESSED CAPS: according to the recommended dosage swallow the capsules and wash down with a sufficient amount of water. Milk and alcoholic beverages are not suitable. Do not chew the capsules! Warning: Food supplement. Does not replace a varied diet. Not intended for children, pregnant or nursing women. Keep out of reach of children! Store in a dry place at a temperature that does not exceed 25°C and away from direct sunlight. Do not freeze. The producer is not liable for any damage caused by improper use or storage. Ingredients: calcium bisglycinate, magnesium bisglycinate, magnesium carbonate, gelatine capsule (gelatine, colouring agents: titanium dioxide, E 132), calcium carbonate, magnesium oxide, chromium lactate, L-OptiZinc® (zinc mono-L-methionine sulphate), bulking agent magnesium stearate, organically bound selenium from yeast, iron bisglycinate, anti-caking agent silicon dioxide. 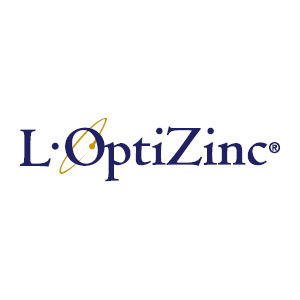 L-OptiZinc® is a registered trademark of InterHealth N.I.